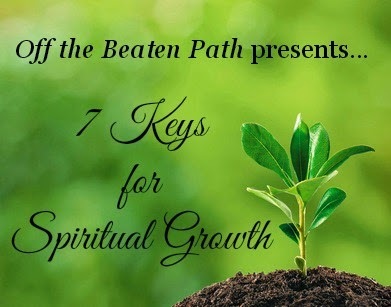 So you want to grow spiritually. Me, too. And that's the first step right there: to desire to grow in your faith and obedience to the Lord, to desire to be more like Him. That desire is key to our ongoing maturity in Christ. However, if you genuinely want to grow in Christ-likeness you'll have to accept that there will be some changes required. I often pray for God to change me, but when I begin to feel Him challenging my thinking, my attitudes, my words, and my behavior, I usually squirm. These are difficult challenges for me. But if I want to grow in Christ-likeness I will submit to the changes He requires of me. I will yield, say "yes, Lord," obey and trust. Thankfully, God gives us a new heart when we turn our lives over to Jesus (see Ezekiel 11:19-20). He takes away our stony, stubborn hearts, and gives us hearts of flesh, malleable and soft. He also writes His laws on those new hearts, inscribing on our consciences a desire to follow His ways. Finally, He generously gives us His Holy Spirit to direct our paths and lean into us, so to speak. But you and I know we can easily harden those new hearts toward Him, digging in our heels, resisting His pulls and tugs, saying, "no, no, no" instead of "yes." So today I simply encourage you to ask yourself, "Do I have a teachable heart, a teachable spirit?" Do I give God "permission" to meddle in every area of my life, or have I partitioned off some areas from Him? Do I hear Him challenge me on behavior I've become accustomed to and comfortable with? When I hear God's Word preached or taught, or when I read the Bible, do I tend to apply what I hear to other people, such as my husband or children or friend? Or do I apply the truth to my own life first? Am I regularly and frequently convicted over things I've said, attitudes I've allowed to fester or behaviors I've committed? Or do I just skate through most days feeling pretty good about myself? Do I find myself bending the knee to Jesus frequently? Am I hungry for righteousness -- a life that exemplifies Jesus' character and honors Him? Here is a scripture that has spoken to me concerning being teachable. I will instruct you and teach you in the way you should go; I will counsel you with my eye upon you. 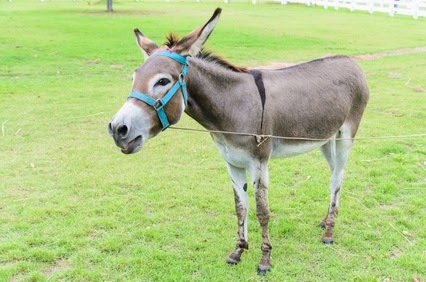 Do not be as the horse or as the mule which have no understanding, whose trappings include bit and bridle to hold them in check, otherwise they will not come near to you. Have no doubt about it, God is persistent in teaching us His ways. He is a faithful Father who disciplines and teaches those He loves. But we can learn from Him willingly, and thus more quickly, or we can be stubborn, stiff-necked and "mulish." Then He brings out the bit and bridle. I suggest we develop a teachable, moldable spirit. Ask God today to create in you a teachable spirit. Ask Him to show you if there is any stubborness in you that is keeping you from growing in Christ-likeness. And bow before Him, submitting to His tender guidance and instruction.